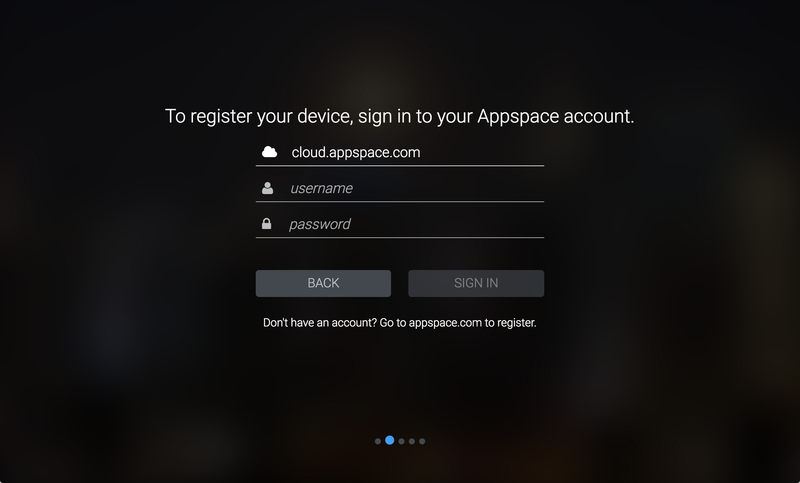 Launch the Appspace App from your device, and click REGISTER LOCALLY. Enter in the Appspace server URL, and your Appspace credentials. 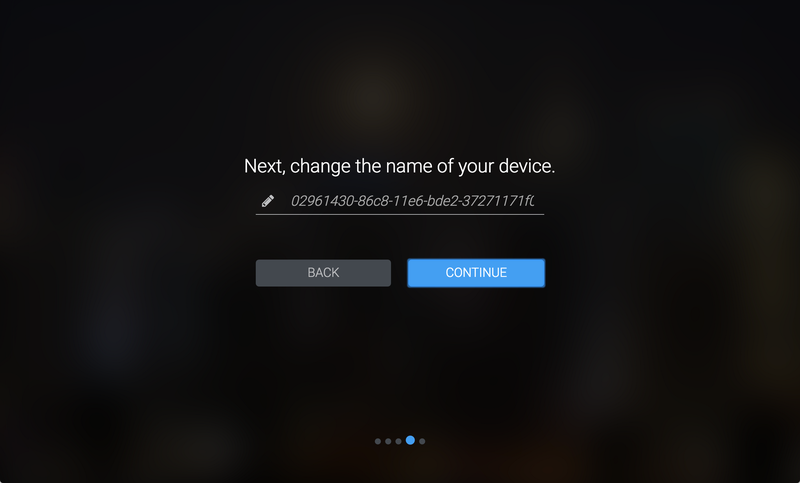 Enter in a name to identify the device. 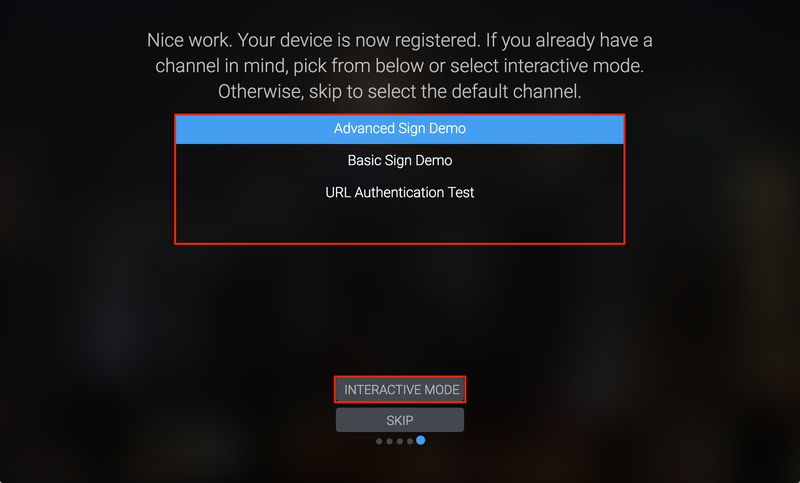 Select a channel to display on the device, or click INTERACTIVE MODE. 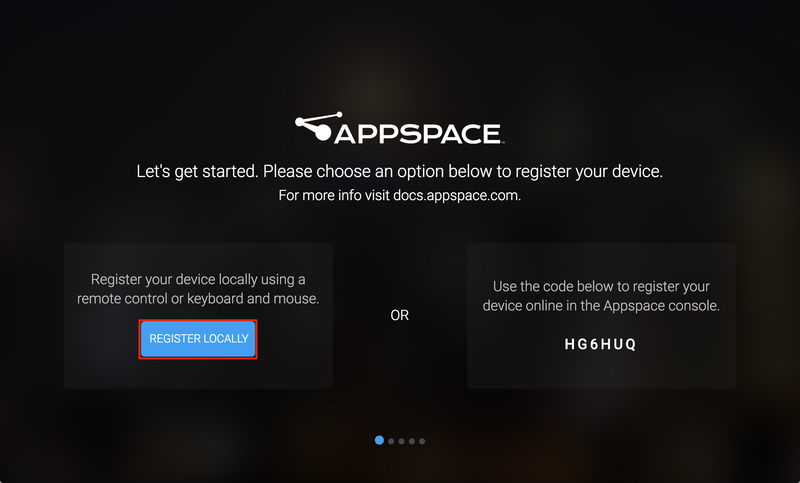 The Appspace App will begin registering the device, and the selected channel will be displayed.